I have been reviewing Jabra products closely over the past years, so I have first hand experience on how their music products have evolved. As an audio lover, I find the earlier Jabra headsets are not that good for music enjoyment. This changed in 2012 when Jabra introduced the music-series headsets, bringing decades of experience of designing comfortable and reliable mono headsets into the new product lines. I am excited to be one of the firsts in Singapore to receive and review the new Jabra Sport Pulse Wireless earbuds. With the popularity of wearable devices integrated with fitness and health monitoring functions, Jabra caught up with the trend in its own way. The Sport Pulse is the first music earbuds with built-in biometric heart rate monitor, tested to be up to 98% accurate against medical ECG machine. For music lovers working on a exercise regiment, this product eliminates the need for separate HRM equipment attached to your body. 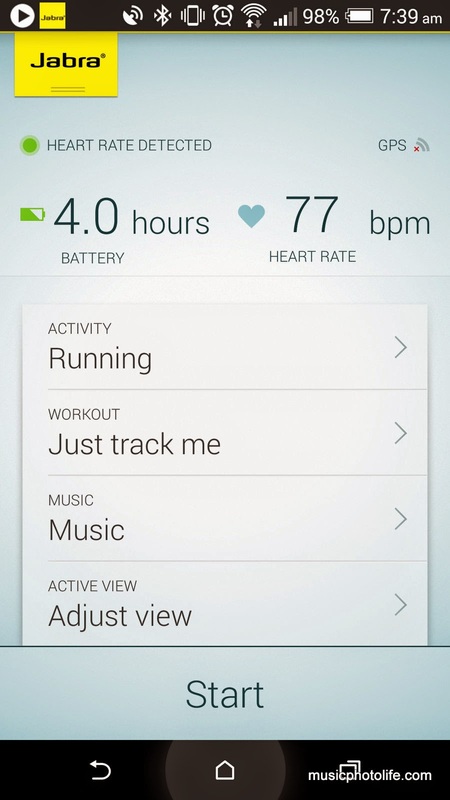 To utilise the heart rate monitor feature, Jabra provides the free Sport Life app for Android and iOS. It displays the battery life, real-time heart rate, and lets you set your workout zone, training goal and offers real-time audio coaching. For instance, if you set running pace (e.g. 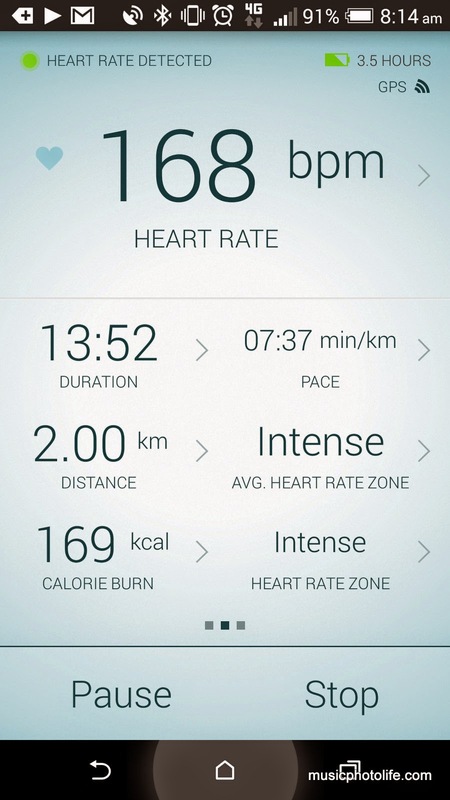 7 minutes per km) as your goal, the app will monitor and advise if you are too slow or too fast. If you set distance (e.g. 5km) as your goal, the app will announce the distance covered at intervals. You could also get on-demand voice updates by pressing the button on the left ear, or disable the voice updates if you find it distracting. The same button can also control the start-stop of the Sport Life monitoring. The Sport Life app can give you an insight into your aerobic level with VO2 Max, resting heart rate, and help you balance the risk of overtraining with an Orthostatic heart rate test. The heart rate monitor module is currently certified to work with Endomondo, Runkeeper, Strava, MapMyFitness (according to website FAQ). 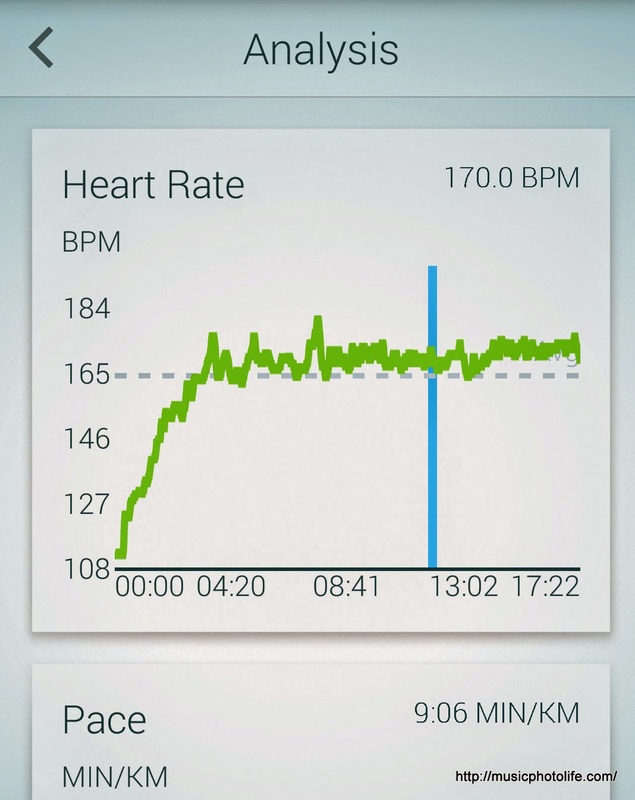 I also tried with Runtastic and it recognises the Sport Pulse as HRM. 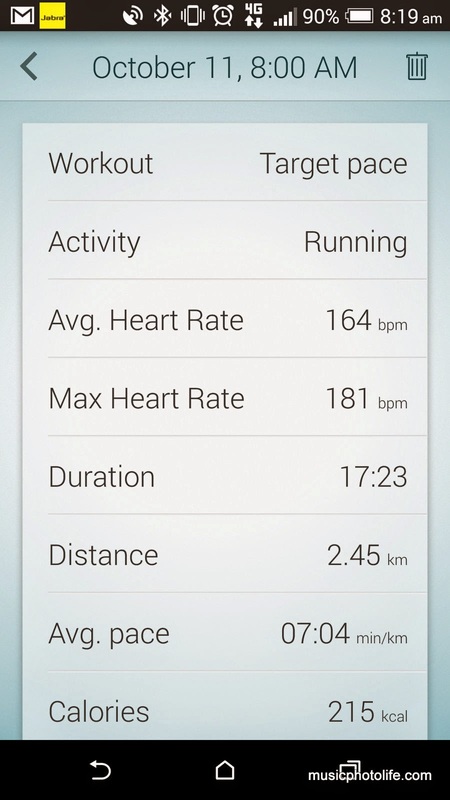 For other apps, try to see if you can add the Pulse Smart as heart rate monitor. The Sport Life app only supports exporting of data but not import. 1. It does not look like a sports headset - great for use in any occasions. 2. It fits great, and the earwings don't drop off compared to Rox Wireless. 3. Good audio dynamics, with bass bias yet sufficient treble clarity and soundstaging. The Sport Pulse does not look like a sports headset, which means I could also use it for normal occasions. The Sport Pulse design might look unusual, with an additional bulge below the speakers. This odd bulge actually sits comfortably against your ear walls and not noticeable when worn. 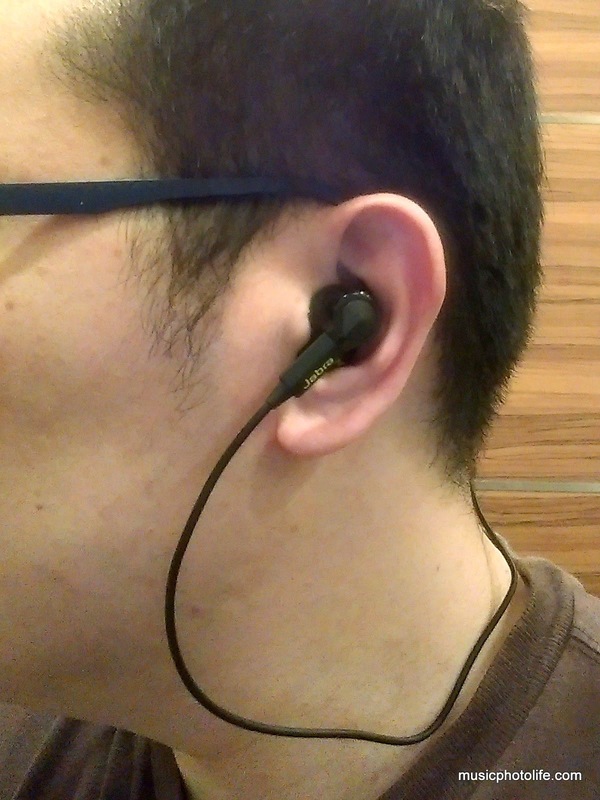 On the left earbud, the bulge contains the heart rate monitor while the right earbud hides the micro USB connector. The silicone ear wings wrap the bulge, protecting the heart rate monitor and the USB connector. The Sport Pulse is sweat-proof, storm-proof, and comes with various sizes for the ear wings and ear gels. They feel really comfortable and stay on my ears throughout my workout. Unlike the Rox Wireless, the Sport Pulse ear wings do not fall off as easily. Thumbs up for that! As a music lover, I have my demands for good audio reproduction across the audio spectrum. The Sport Pulse meets my demands. In fact, I love the audio enough to sell my Jabra Rox Wireless in favour of this new headset. Actually, the Rox produces more brilliant treble, while the Sport Pulse delivers better bass response. Though the treble is slightly veiled, it still retains the high-fidelity presented over a more spacious soundstage. Most importantly, the Sport Pulse wears more comfortably than Rox. Just like every Jabra premium audio product, the Sport Pulse supports pairing of up to 8 devices and supports 2 active connections at the same time where it auto switches between the devices when audio is detected. Like the Rox Wireless, it sometimes take a while to get the Bluetooth audio streamed from the smartphone. The major drawback of this amazing headset is the battery life - just a humble 4.5 hours. But unless you really need to use the headset for 4.5 hours straight (for instance, during a marathon run, or a plane flight, or a coach ride), most of us urban dwellers should be able to find the next power source to charge before the battery goes flat. Having a shorter battery life means I can charge more frequently and get full charge in a shorter time. You can check the remaining battery life either on the Sport Life app or by pressing the volume button when the headset is idle. When leaving it connected to the smartphone without music streaming, the headset can last for days, and will auto shut off if no devices are connected. I wasn't expecting Jabra to pay much attention to the audio quality when they announced another sports-centric earbuds. I was so wrong. There is no more compromises between function and quality, and there is no need to buy multiple earphones for different purposes. The Sport Pulse is a fantastic headset for fitness and equally enjoyable for music listening. If you love to work out and has a ear for great audio feel, this headset will inspire you to work hard with adrenaline-pumping hi-fi sounds. If you don't really need the HRM feature, then I still recommend the Rox Wireless (which I have sold off in favour of Sport Pulse) for better audio and price value. The Jabra Sport Pulse is available at all good electronic stores (Challenger, Apple Resellers, Stereo Electronics, Harvey Norman, etc.) in Singapore and at Jabra online store. Recommended retail price: S$298.